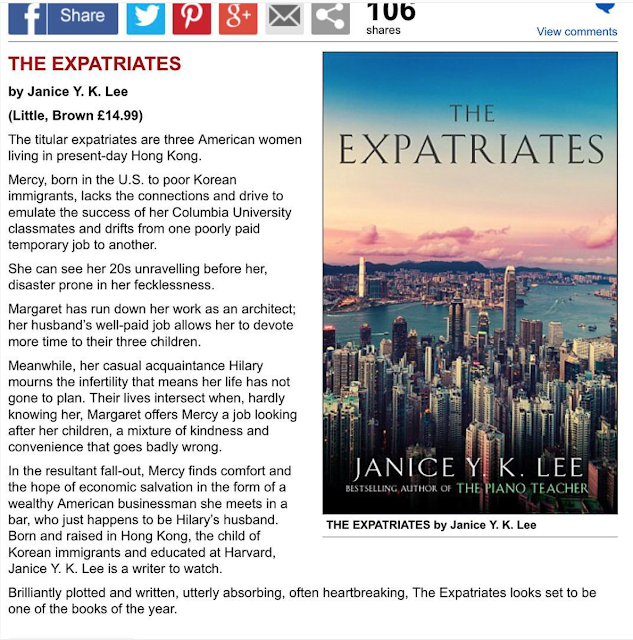 Excited to read the recently released The Expatriates by Janice Y.K. Lee of Hong Kong. Janice Y.K. Lee was born and raised in Hong Kong and graduated from Harvard College. She is a former editor of Elle magazine.